An announcement today from the world’s leading provider of digital content to libraries just made foreign language texts more accessible to US readers. Through a partnership with Japanese publishing aggregator MediaDo, OverDrive announced the launch of OverDrive Japan, which will put 9,000 Japanese book and manga titles into the OverDrive catalog. 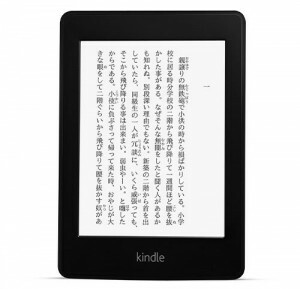 In addition to the ability for OverDrive members around the world to access these Japanese-language ebooks, the formation of OverDrive Japan means that the Japanese library market can now benefit from OverDrive’s one million title catalog. This is exciting news not only for patrons who may wish to enjoy Japanese-language titles, but also for OverDrive’s academic and K12 library partners. With an increased focus on foreign language instruction in grades as young as elementary school, many institutions currently offer Japanese as a foreign language course. This partnership will make native language titles accessible to teachers and students for a more immersive learning experience. The manga titles can offer students not only the entertainment factor that the genre commands, but also a visual to accompany the Japanese text in order to make it more understandable.